Pocono Full Size Bookcase Headboard adds handy storage and complete the look of Pocono Full Size Storage Beds #4654 and #4674. It features 1 open cubby on one side, 2 shelves in the centre and 1 bookcase section on the other side. The headboard is fully reversible so you can have the bookcase section on the right or on the lift side. Pocono Collection from Nexera is a timeless and functional juvenile bedroom collection offered in a rich Espresso laminate finish with decorative metal handles. Pocono Full Size Bookcase Headboard from Nexera Pocono Full Size Bookcase Headboard adds handy storage and complete the look of Pocono Full Size Storage Beds #4654 and #4674. It features 1 open cubby on one side, 2 shelves in the centre and 1 bookcase section on the other side. The headboard is fully reversible so you can have the bookcase section on the right or on the lift side. Pocono Collection from Nexera is a timeless and functional juvenile bedroom collection offered in a rich Espresso laminate finish with decorative metal handles. 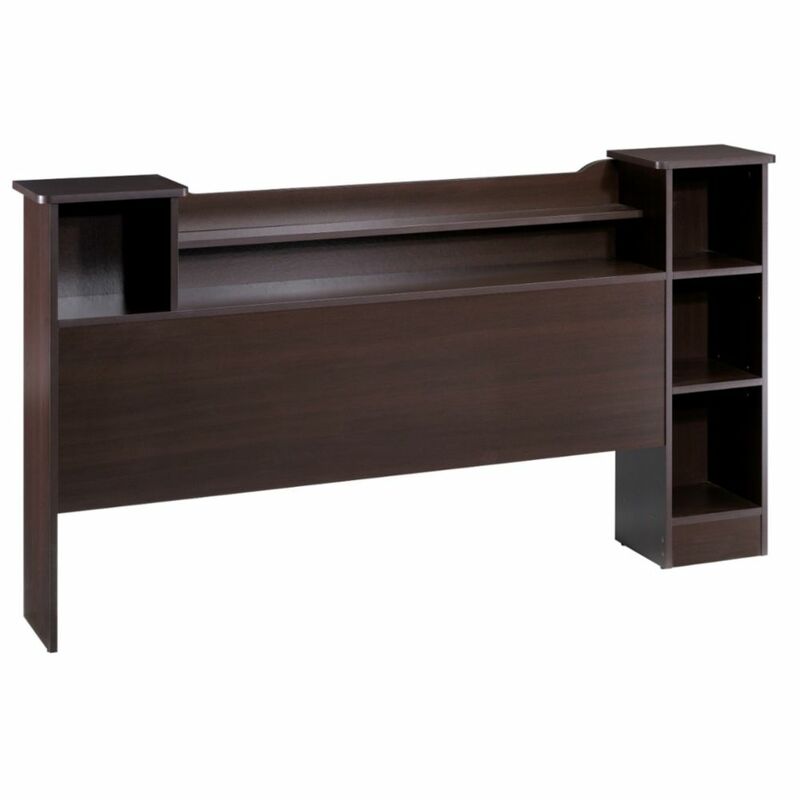 Pocono Full Size Bookcase Headboard from Nexera is rated 4.0 out of 5 by 1. Rated 4 out of 5 by yidn2007 from good products I bought month ago for my yang daughter (12). She is so happy.